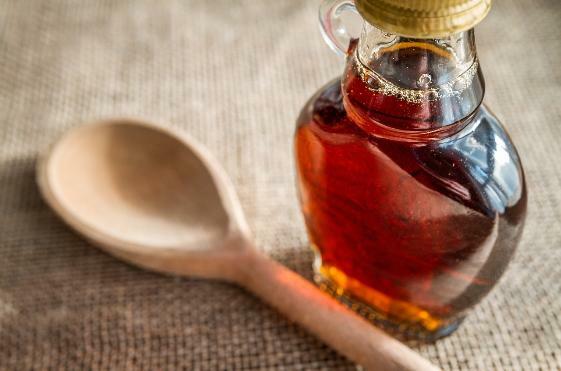 nature: maple syrup. But don't wait long to make the visit. The season is short and unpredictable. after you sample sugar on snow. Your taste buds will be demanding more. needs to be to yield it's sap without damaging the tree. weeks, is shortened, sometimes dramatically. day is warm, pressure builds causing the sap to run. can be drilled in it, but rarely are more than three drilled in any tree. and ready to give up their sap each year. becoming the preferred method among sugarmakers with a lot of trees. amounts of enzymes and other ingredients that provide the maple flavor. the closeness of the trees in the sugarbush. emptied daily or even several times a day. tanks to the sugarbush and hired hands collect and empty the buckets into the tanks. through the woods off trail, you've likely seen plastic tubing wending its way from tree to tree. leaks in the system. 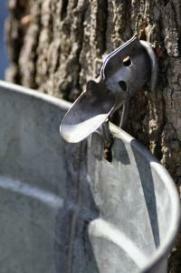 It's a yearlong chore that continues through the sugaring season. down, it produces dark, undesirable syrup. Evaporators do the boiling. They come in a variety of sizes and some with extra buzzers and whistles. predicated on how large the sugarbush is. fuel staple, but like the horse-drawn sleigh, it, too, is going the way of the buggy whip. step back from oil until prices fall again. the front of the evaporator. When it reaches the end of that, it should comprise 70% sugar for good syrup. At that point, the sugarmaker pours it off to keep it from getting any thicker and to prevent burning. remove such substances as sugar sand, a mineral produced by the trees. retail containers, often cans, or made into maple-sugar candy. grades from each of the three and decide for yourself which is best. shelves. For one thing, it's less viscous, so be careful when you pour. guarantee it'll be a taste sensation, and you'll pass by the supermarket brands without batting an eye. candy for each of them. This is definitely a food item your both want to keep and eat too.